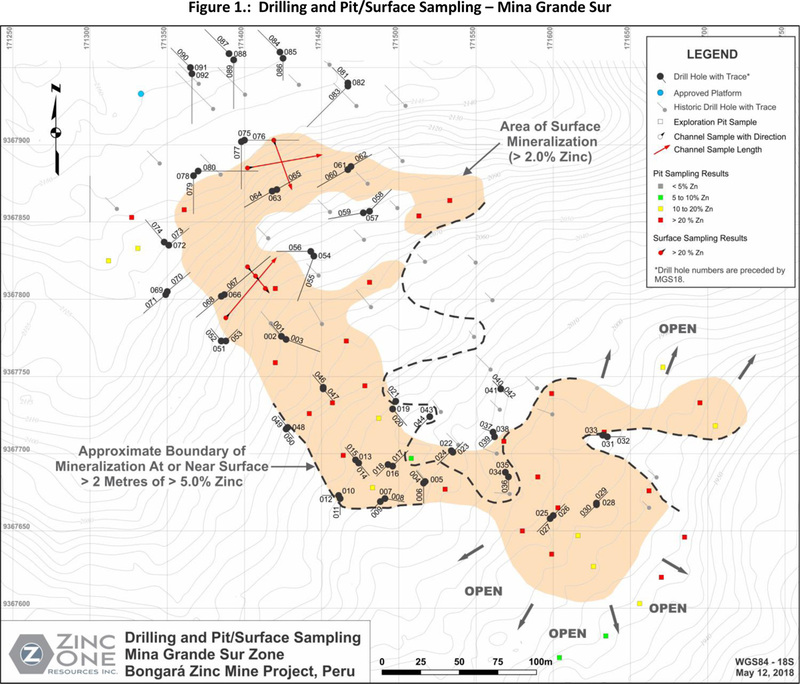 Vancouver, BC - May 29, 2018 - Zinc One Resources Inc. (TSX-V: Z; OTC Markets: ZZZOF; Frankfurt: RH33 - "Zinc One" or the "Company") is pleased to announce additional results from its drill program at the southern area of the Mina Grande Sur zone, part of the Bongará Zinc Mine project located in north-central Peru. 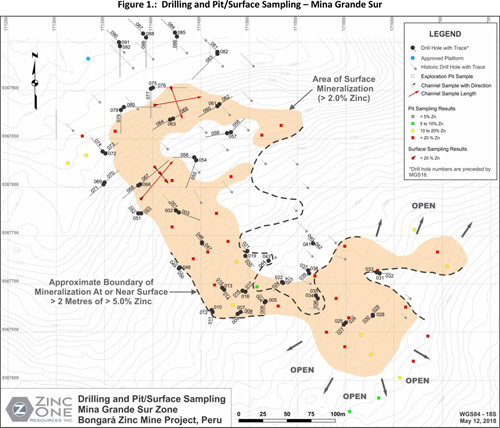 Drilling in this area of Mina Grande Sur has been focused on the delineation of near-surface, high-grade mineralization. 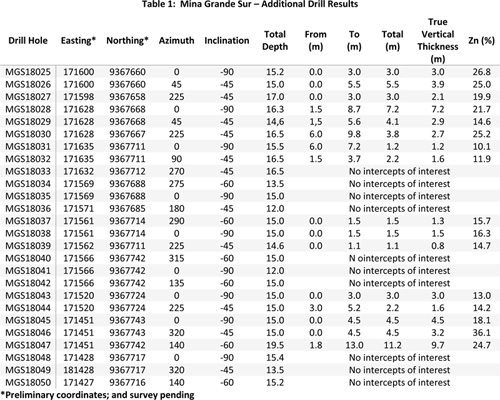 To date, results from 50 drill holes for a total of 803.6 metres at Mina Grande Sur have been reported with results from the 45 remaining holes to follow upon receipt. 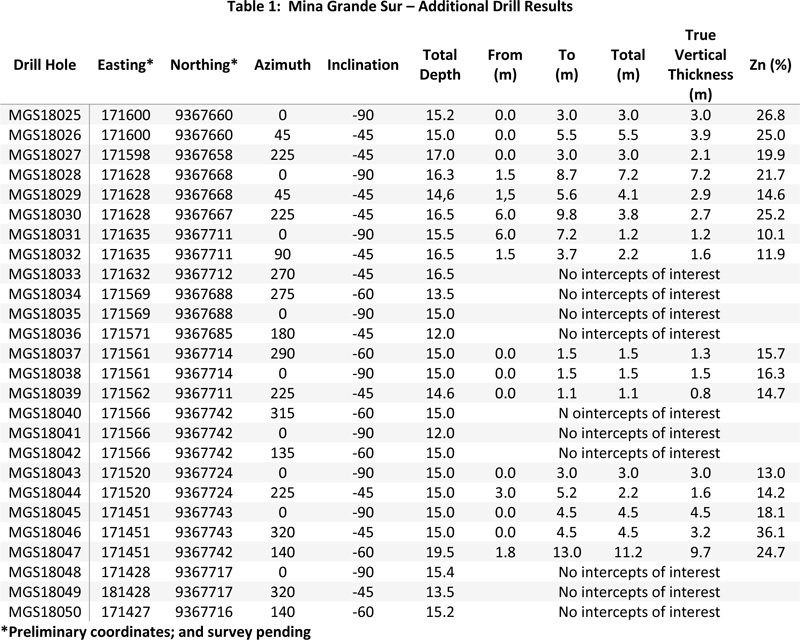 The drill program at Mina Grande Sur has now been completed and included a total of 2,328.4 metres from 95 holes (see map below in Figure 1.). Results of the drill program will contribute to the overall understanding of the area and provide data in support of the upcoming technical report expected to be released in Q3 2018.